The past couple of weekends, while rounding on patients, I got to periodically keep up with the various playoff games as they were happening because so many patients had the games on in their rooms. Today, everyone had the inauguration ceremony on. Our team just happened to stop into two consecutive patient rooms with serendipitous timing, the first just at the right moment to see the swearing-in and then the second just in time to catch Beyonce's national anthem. 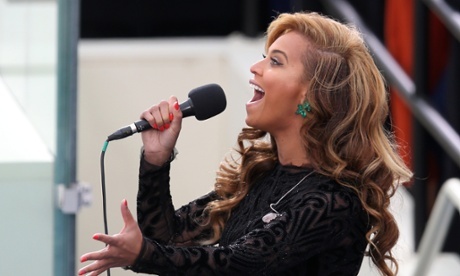 Our patient, when Beyonce started singing - quietly, musically, sweetly - said out loud, "Why she singin' like that? Why she bein' all quiet like that?? I don't like this voice." Her mother chimed in, "That's not Beyonce!" And then, a couple of seconds later, when the singer opened up her famous pipes and started belting it out, they both together said, "There she is!!" So there was our whole team, six of us, standing in a semi-circle around our patient's bed, with our patient and her mother sitting on it, and all of us in the room watching the TV screen for the whole two minutes and twenty-five seconds it took for our national anthem to be sung, not moving. And I have to admit - I got ever so slightly choked up. Looking around the room, I was suddenly filled with pride, even patriotism. The people in that room represented at least five different ethnicities. We had originated from at least three different countries. We hailed from several different states and had very different backgrounds. Most of us spoke different languages from each other. We all stood, spellbound together, and watched our democratically-elected African-American president be inaugurated for the second time, peacefully and with great celebration, in front of an enormous crowd at least as diverse as the group we made up. It was sort of beautiful. 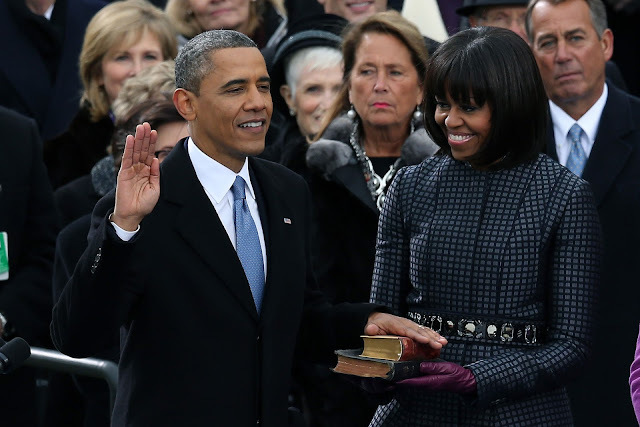 I was also thinking about where I was four years ago, when President Obama was sworn in for the first time. I was in Charlottesville, VA, in the middle of my post-bac year, probably studying for an organic chemistry exam and praying with all my might that my efforts in that program would get me into a medical school. And that made me think something else, too - it continually amazes me how crazy-fast time flies, but not only that, it made me realize just how glad I am to be here, in this place, doing this work, with these people, today. I may not always feel it, but I am lucky.